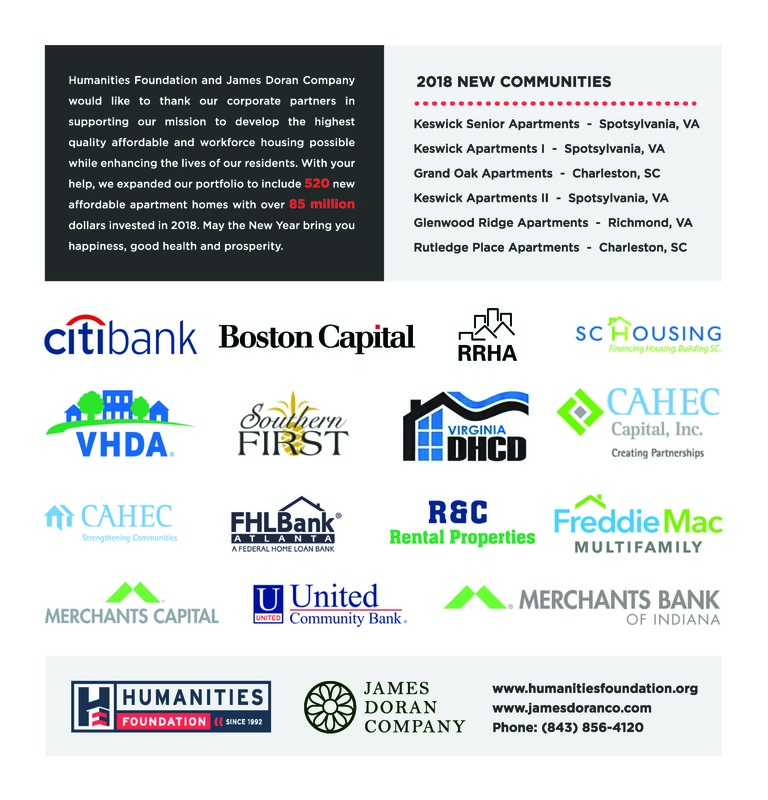 Humanities Foundation and James Doran Company would like to thank our corporate partners in supporting our mission to develop the highest quality affordable and workforce housing possible while enhancing the lives of our residents. With your help, we expanded our portfolio to include 520 new affordable apartment homes with over 85 million dollars invested in 2018. May the New Year bring you happiness, good health and prosperity.